That always-relevant question is explored in the 2019 edition of the World Happiness Report, which finds little change at the top — beginning with Finland, which repeats as No. 1. The recently released report ranks a total of 156 countries "by how happy their citizens perceive themselves to be," but since this is 2019 we're showing the top 19 here. The rankings are based on how people assessed their well-being in Gallup World Poll surveys. The happiest countries, the report says, "tend to have high values for most of the key variables that have been found to support well-being: income, healthy life expectancy, social support, freedom, trust and generosity." The United Nations Sustainable Development Solutions Network publishes the report. This year's theme: happiness and community. The United States dropped again in the latest happiness rankings, from 18th to 19th. The long-term trend is worse. The report compares 132 countries' changes in happiness between 2005-2008 and 2016-2018. The United States' performance in that respect is 21st-worst, as the country has become unhappier during that time. On the plus side, the United States has the 10th-highest GDP per capita, and it ranks 12th for generosity, the report says. The country represents "the Easterlin paradox: As the standard of living improves, so should happiness – but it has not," Jean M. Twenge writes in Chapter 5. Its title: "The Sad State of Happiness in the United States and the Role of Digital Media." 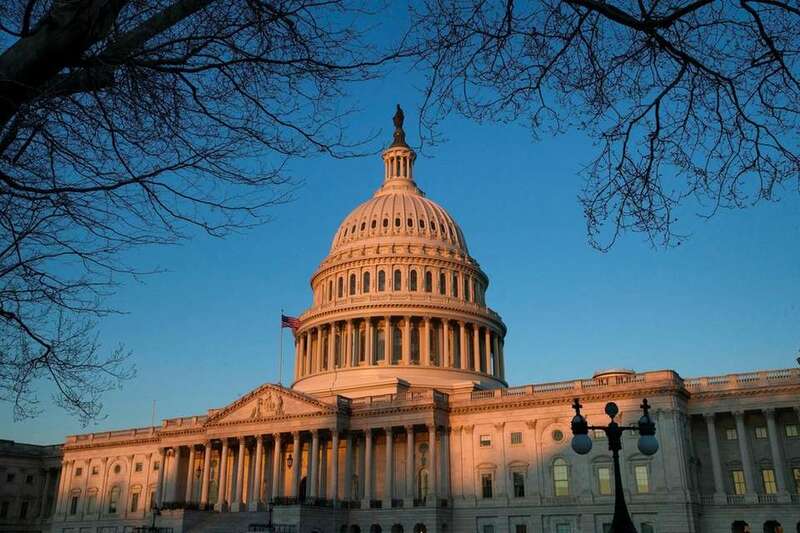 Above, the U.S. Capitol at sunrise on March 23. The 2019 happiness rankings are based on survey results from 2016-2018. 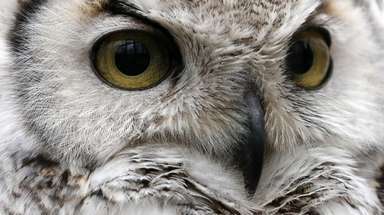 Belgium has become unhappier between 2005-2008 and the later time period, the report says. 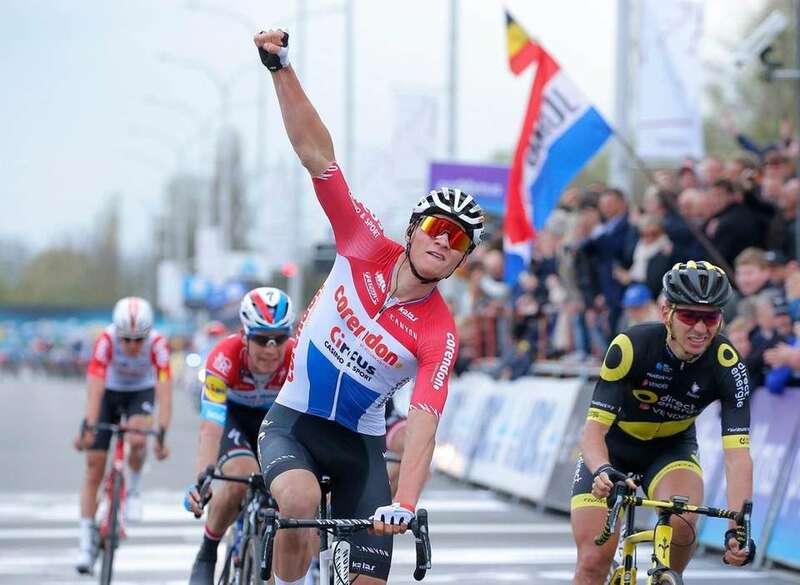 Here Dutch cyclist Mathieu Van der Poel of Corendon-Circus celebrates winning the 74th edition of the Dwars Door Vlaanderen one-day cycling race in Waregem, Belgium, on April 3. One factoid found in the report: Germany ranks just 44th in the ranking of freedom to make life choices. 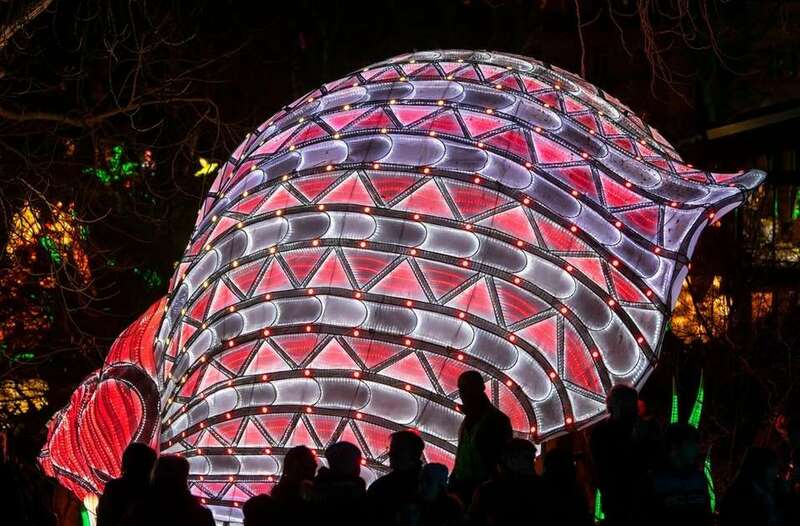 Above, visitors walk in front of a light installation during the Magische Lichterwelten festival ("Magic light worlds") at the zoo park in Halle, Germany, on March 8. 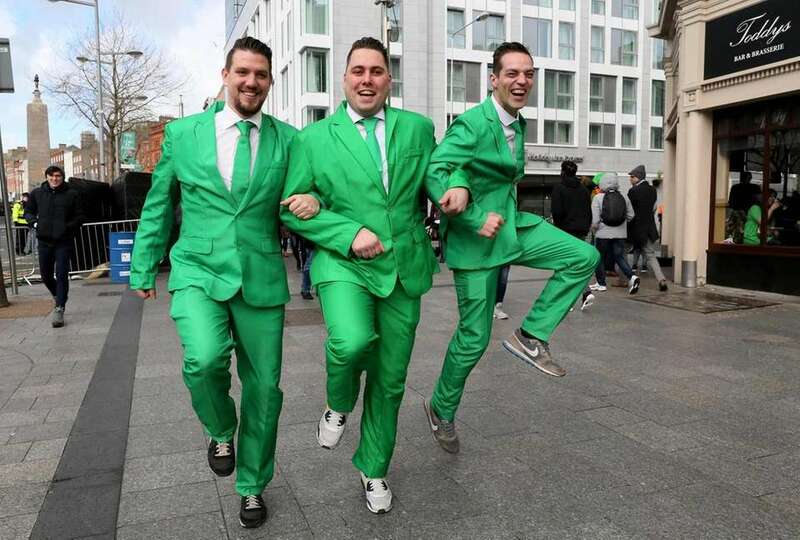 These guys look like they're having fun; they're spectators lining the route during the annual St. Patrick's Day parade through Dublin's city center on March 17. Ireland skips along at No. 16 on this year's list (two lower than last time). Brexit chaos and messiness aside, Britons are still pretty happy, according to the report. 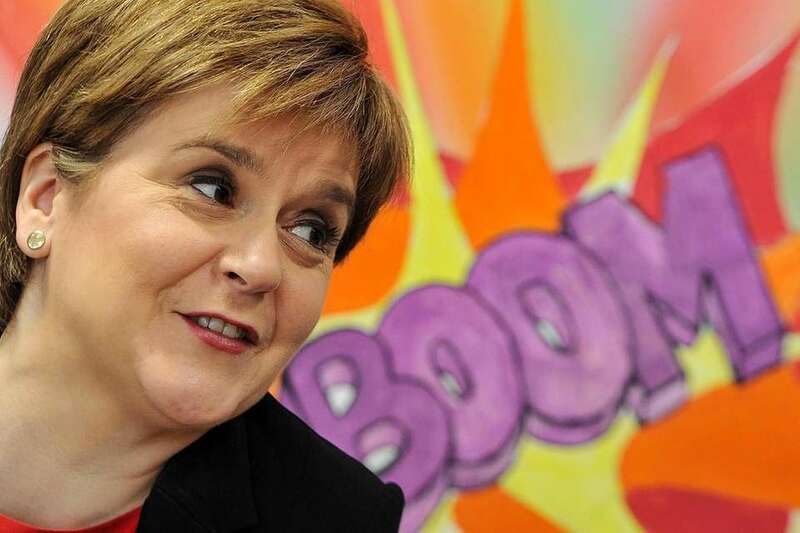 Above, Scotland's first minister, and leader of the Scottish National Party, Nicola Sturgeon, visits the Capability Scotland Edinburgh hub where she met adult care service users and staff in Edinburgh on March 27. You may not be able to find Luxembourg on a map, but the tiny nation is in the big leagues of happiness. 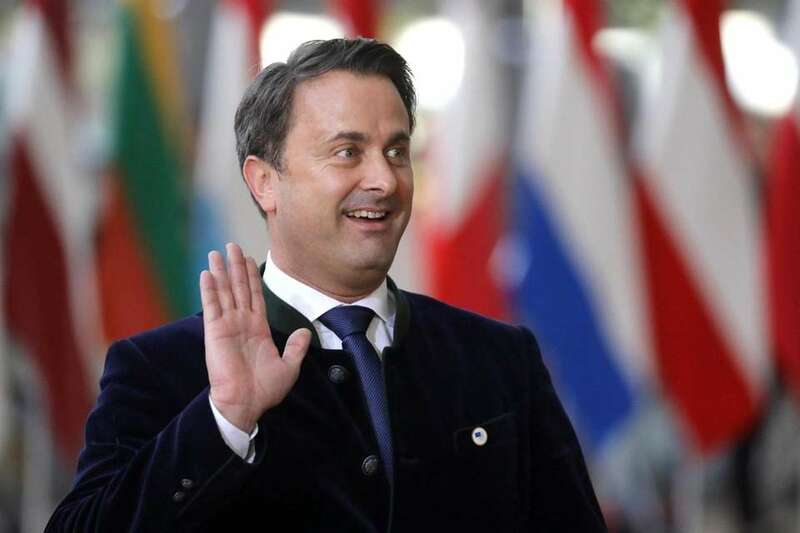 This is Prime Minister Xavier Bettel gesturing as he arrives on the first day of an European Union summit focused on Brexit on March 21 in Brussels, Belgium. While Israel dropped two places in the 2019 rankings, the country's overall happiness has increased slightly between the time periods of 2005-2008 and 2016-2018, the report shows. Israel is again the top-ranking country in the Middle East on the list. 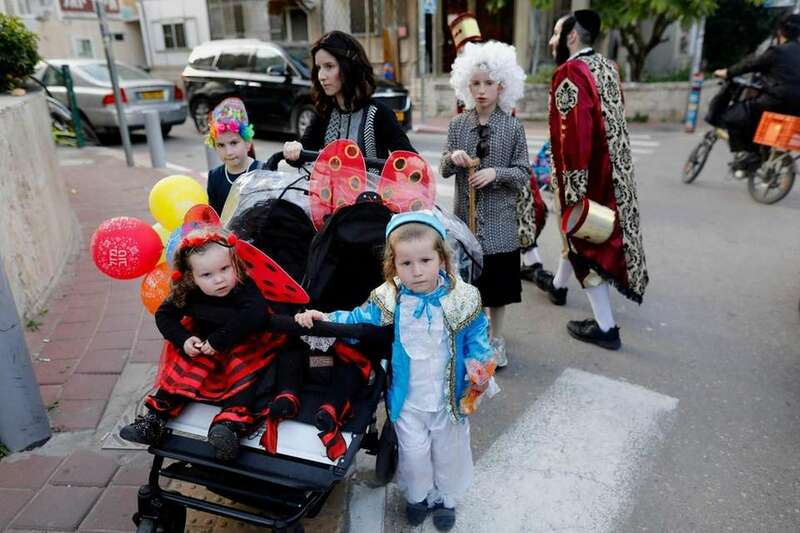 Above, ultra-Orthodox Jewish children wear costumes in the central Israeli city of Bnei Brak during the feast of Purim on March 21. 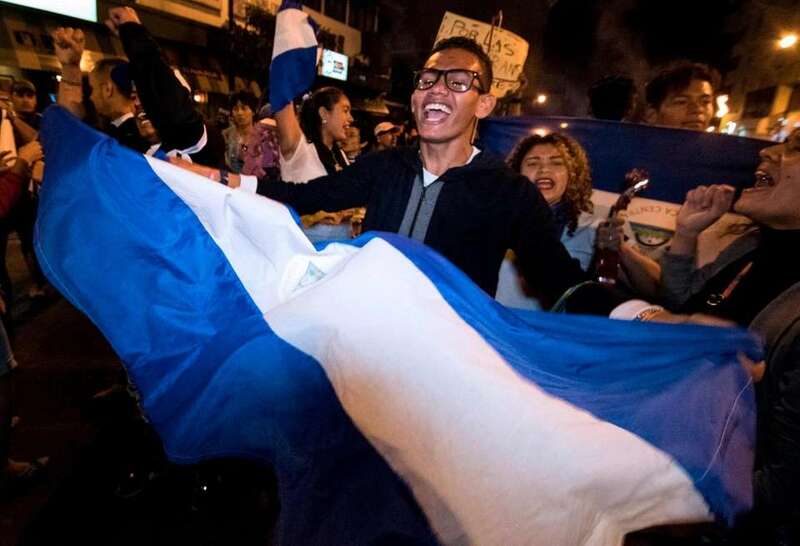 Costa Rica is the happiest nation in Latin America, per the 2019 report. Here Nicaraguan migrants living in Costa Rica take part in a march to mark International Women's Day in the country's capital, San Jose, on March 8. 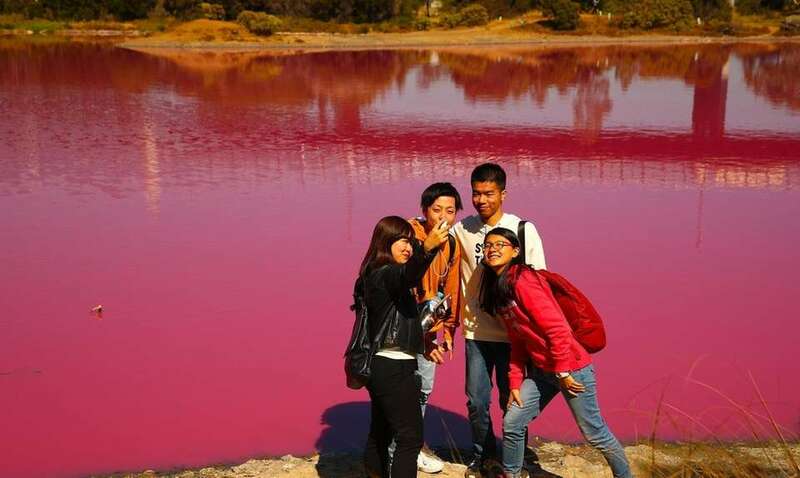 All in all life's kinda rosy in Australia, where people are seen taking photos of the pink lake at Westgate Park in Melbourne on March 27. The lake naturally turns pink in warmer months in response to high salt levels, lots of sunlight, a lack of rainfall and algae that grows in the salt crust at the lake's bottom and produces a red pigment during its photosynthesis process. Austria wishes to announce its presence in the top 10; it moved up two spots from 2018. 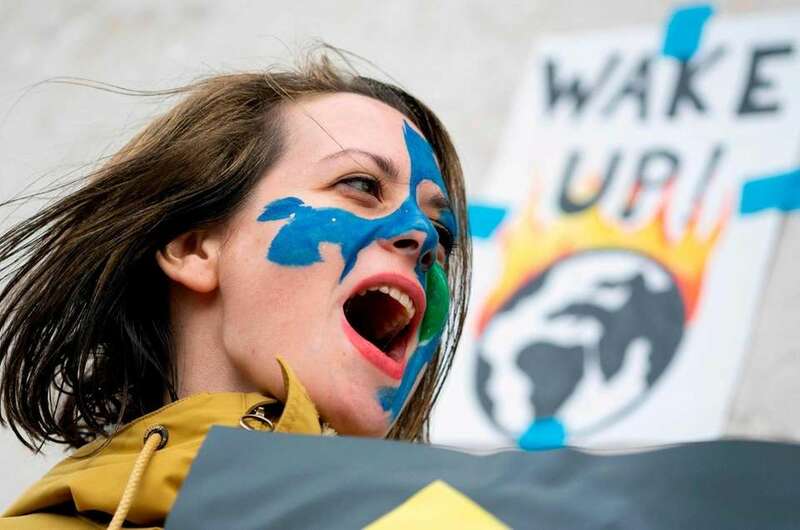 Here an Austrian youth shouts slogans during a climate protest outside the Hofburg palace in Vienna as part of the "Fridays For Future" movement on a global day of student protests aiming to spark world leaders into action on climate change on March 15. Things are nicer in Canada ... which again claims the status of happiest country in North America. The report mentions a study in which 20 Canadian toddlers were given eight edible treats and asked to share some with a puppet. Toddlers "showed larger smiles when giving treats away than when receiving treats themselves." And, well, hockey. 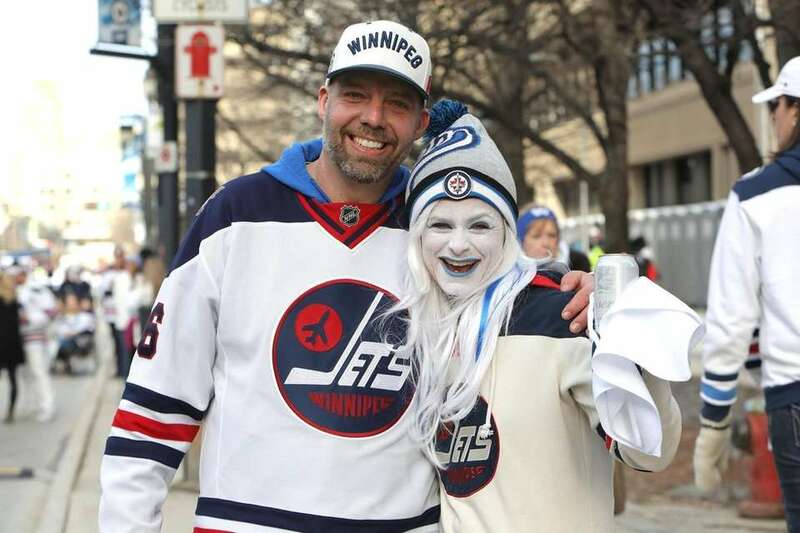 Here fans Jeremy and Kristen Miller enjoy themselves at a street party before the Winnipeg Jets took on the St. Louis Blues in Game 1 of their first-round playoff series in Winnipeg, Manitoba, Canada, on April 10. Eight is great for New Zealand, which occupies that position in the rankings for the fourth year in a row. 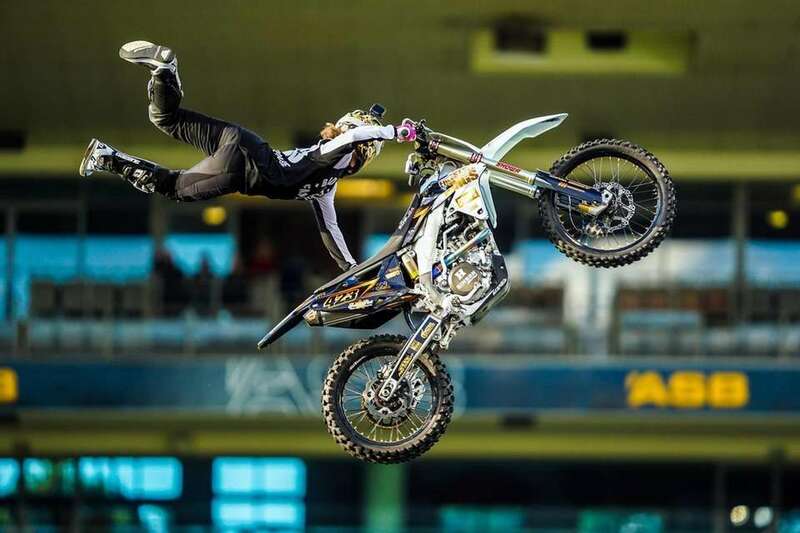 Above, a freestyle motocross rider performs a stunt during a "Nitro Circus" performance in Auckland, New Zealand, on March 9. Sweden jumped two places, from No. 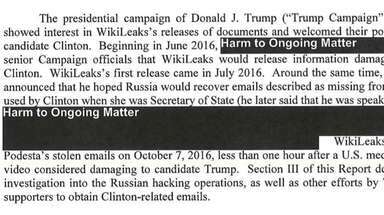 9 to 7, in this year's report. Nordic countries occupy five of the top seven spots. 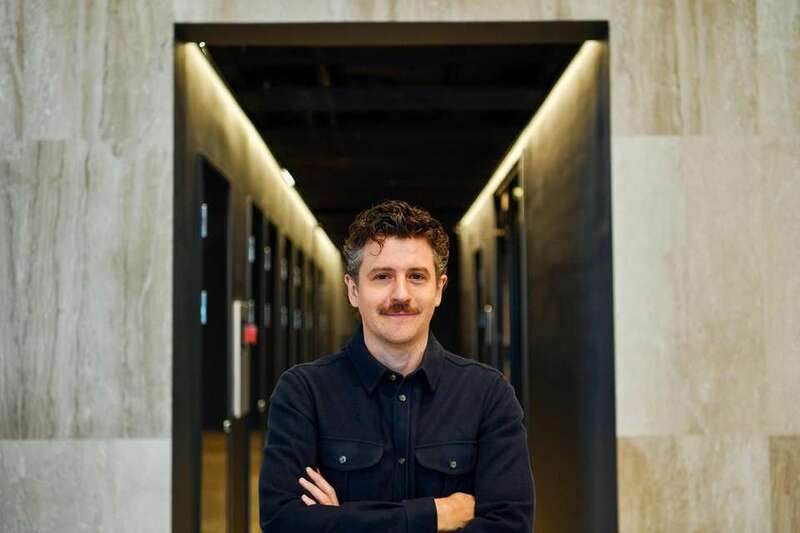 Above, Herman Persson, head of design at Oscar Properties Holding AB, poses in the Innovationen residential skyscraper in Stockholm on March 5. Residential skyscrapers are rare in Stockholm, a city permeated by five-story, classic stone buildings built at the turn of the last century. Switzerland slipped one spot to sixth this year. 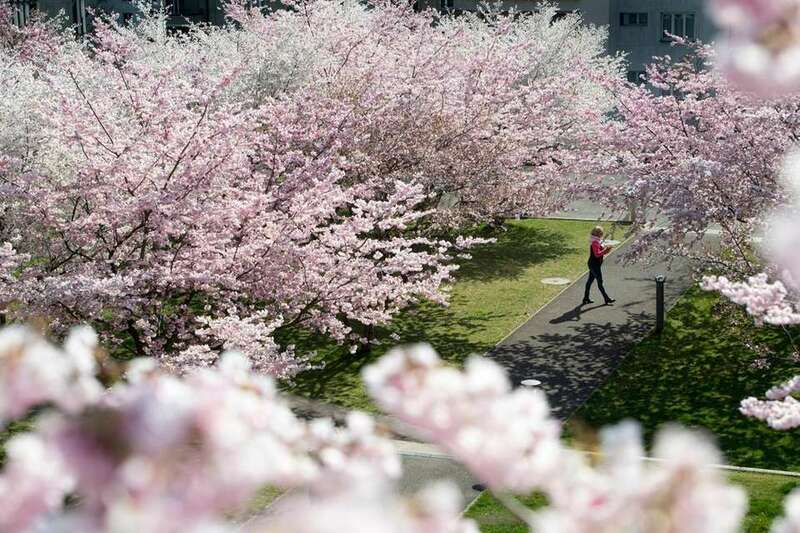 Seen here: A woman walks under flowering cherry trees on a warm spring day at the Mon Repos Park in Lausanne, Switzerland, on March 28. The Netherlands claims the distinction of happiest country outside the Nordic ones. Above, Dutch Queen Maxima drinks beer during the celebration of 300 years of the Bavaria brewery in Lieshout, The Netherlands, on March 28. The company is run by the seventh generation of the Swinkels family. Iceland is a small country, but it perennially appears near the top in the global happiness rankings. It was No. 3 in 2017, and No. 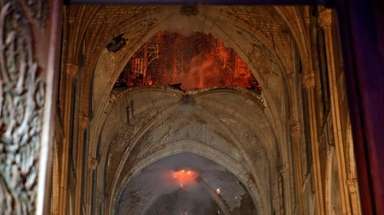 4 in 2018. 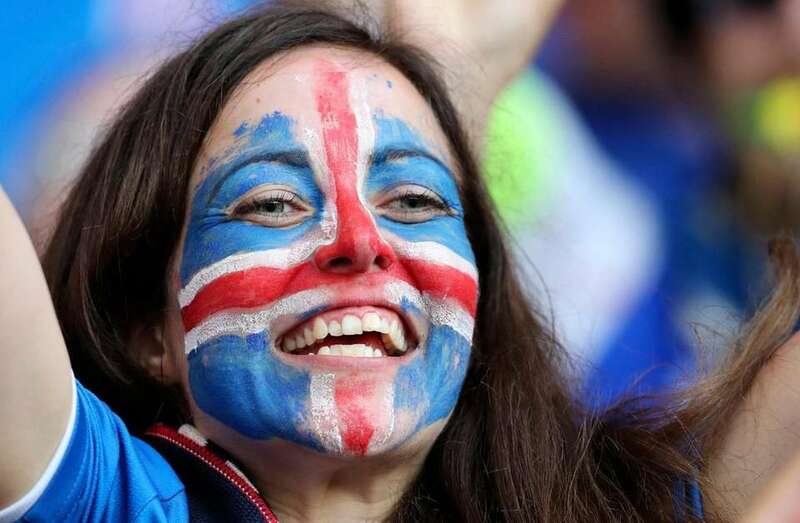 Here an Iceland supporter smiles before the Euro 2016 round of 16 soccer match between Iceland and England in Nice, France, on June 27, 2016. Norway swapped places with Denmark this year, but Norway's overall score still went up — and that's something to be joyful about. 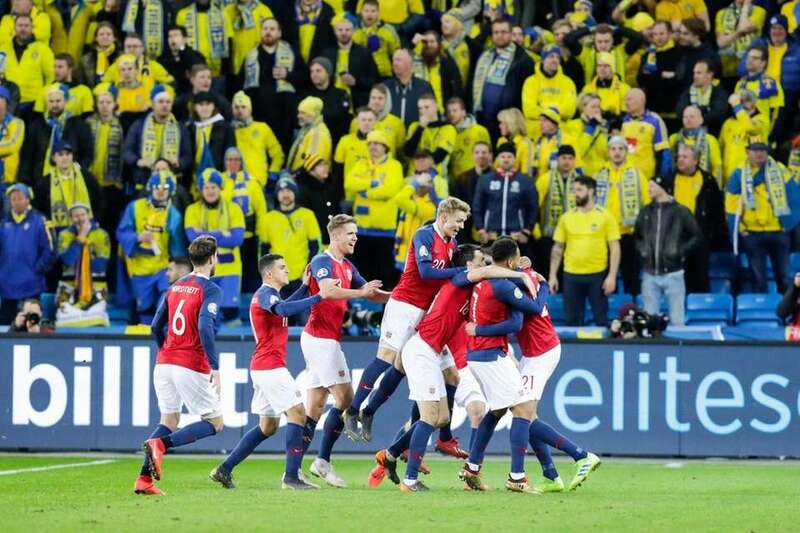 Above, Norway's players celebrate a goal in front of Swedish supporters during the UEFA Euro 2020 qualifiers match in Oslo on March 26. Denmark rose from third to second in the latest rankings, edging ahead of Norway. 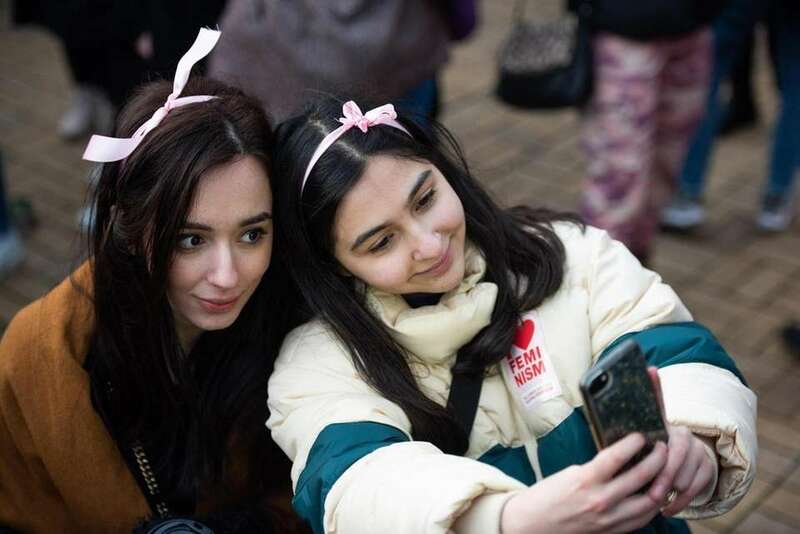 The demonstrators seen here take a selfie during a rally on International Women's Day in Copenhagen on March 8. Call them back-to-back happiness champions. Finland retained its top spot in this year's World Happiness Report — and overall Finns are even happier. That's because the country's happiness data "have continued their modest but steady upward trend since 2014," the report says. The rankings are based on a three-year average score, so with Finland's 2015's numbers getting replaced by 2018's higher ones this time, the nation is "significantly ahead of other countries in the top ten," the report notes. 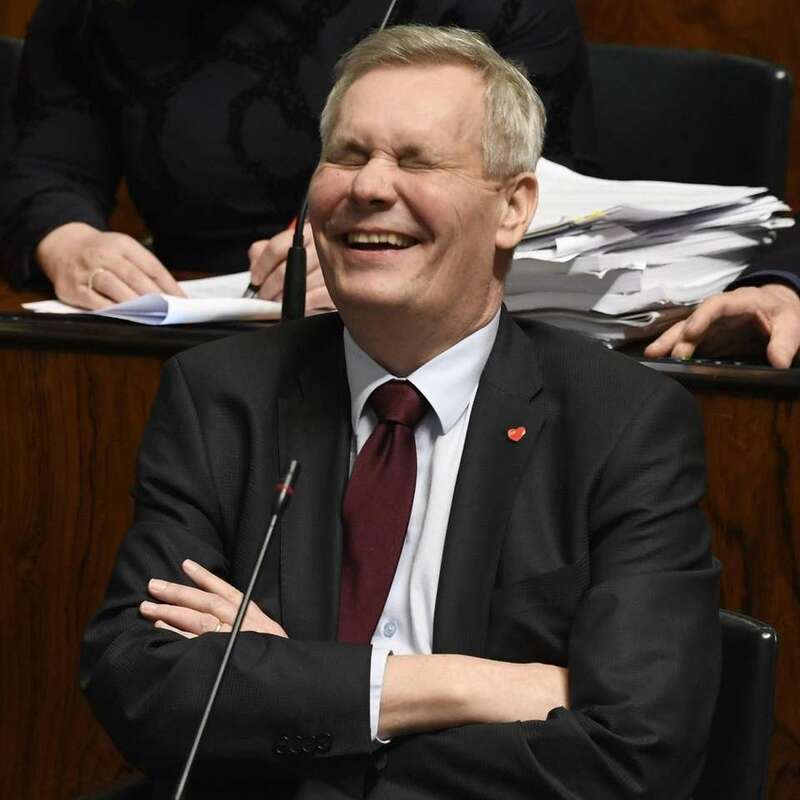 Above, the chairman of Finland's main opposition party, the Social Democrats' Antti Rinne, laughs at the Finnish Parliament in Helsinki on March 8.